Arrived on 27 October 2015. 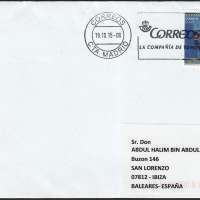 More than 2,800 stamp designs were submitted to Correos' 1st National Stamp Design Competition, "DISELLO". The purpose of the competition was to get the general public interested in philately and show off their artistic talents by designing a stamp. The winning sketches in the two categories: general and youth, are reproduced in this issue. More than 1,800 entrants from all over Spain took part, with over 2,800 original and creative designs. The panel consisted of well-known designers, who also considered the online votes of nearly 28,000 people. In the youth category, for ages 12 to 17, the theme was the "International Year of Light" declared for 2015 by the United Nations. There were 400 designs in this category, and the first prize went to Minerva García Méndez, of Oviedo, for her work, "Year of Light". The artist wanted to capture the importance of light in everyday life, especially now with the development of new communication technologies, depicting a young man with a multimedia device illuminating his face with a beam of light. In the general category for people 18 and over and open subject, 2,400 creations were submitted. Many of the designs refer to universal and topical concepts such as ecology, the environment, campaigns against diseases, culture and love. The contestants were very diverse, including young designers, professional artists, teachers and amateur photographers. 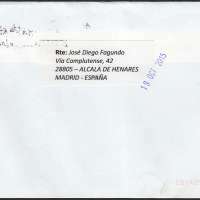 The first prize went to Andrés Molina Arribas, of Madrid, for his work "Good news". As well as popularising philately, Correos' DISELLO competition has shown that stamps are much more than a postage system: "they are a wonderful medium for telling stories, expressing emotions and conveying ideas".